The C80K sedan hints at a potential luxury competitor to German premium brands in China. TURIN, Italy -- Chinese automaker BAIC will unveil the C80K concept at the Beijing auto show on Monday. The sedan hints at a potential competitor to the long-wheel-base versions of the Audi A6, BMW 5 series and Mercedes Benz E class, which currently dominate the luxury-car segment in China. The concept was designed by the design and engineering companies Fioravanti of Italy and Eastone, based in Shanghai, China. The sedan, which would become BAIC's flagship if built, is 5203mm (205 inches) long and 1915mm (75.39 inches) wide. The concept is distinctive for its lack of a B-pillar and its rear-opening suicide doors, a feature currently offered only on Rolls-Royce models. Luxury cars are the fastest growing segment in China, with sales up by 36.7 percent to 130,416 units from January to March, according to Morgan Stanley in London. The overall Chinese market is the first quarter was flat at 3.15 million units. 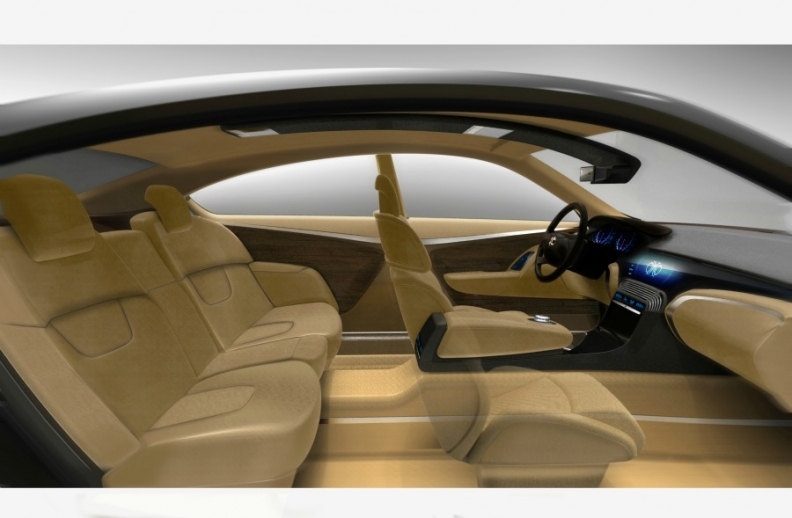 The C80K concept has a luxurious interior and no B-pillar. Beijing-based BAIC is one of China's largest domestic automakers and besides building BAIC-badged cars, has joint ventures with Daimler to build Mercedes-Benz passenger cars and trucks and with Hyundai to build cars and SUVs.